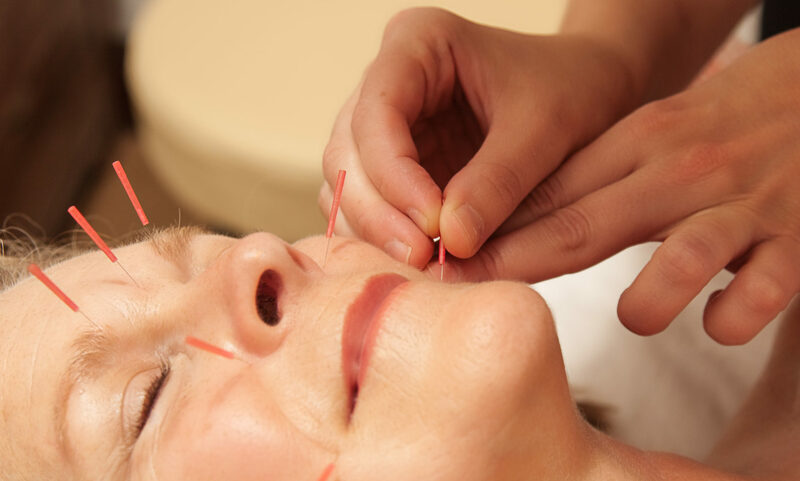 Follow-up acupuncture appointments will continue your treatment regimen identified in your initial appointment and keep you on the path to a balanced body and mind. Combine acupuncture with massage as an integrated approach for a deeper relaxation that is customized for your individual needs. Using specialized needling acupuncture techniques this treatment will balance the whole body and bring out your natural, radiant beauty. These relaxing cosmetic treatments start with an initial consultation and regular acupuncture treatment followed by a customized health regimen of lifestyle and dietary changes. A series of ten bi-weekly treatments produce the best results. Possible results include minimized wrinkles, reduced puffiness, improved complexion, and an increase of facial muscle tone. Whether you’ve come for relief from chronic muscle tension, sports injuries, pre or post surgery, emotional stress, fatigue, or just to relax and enjoy our services – our highly trained therapist will integrate therapeutic techniques to restore your natural balance and well-being. Our professional massage therapist will design a massage suitable for your specific pressure and needs. Our crafted signature treatment begins with a relaxing with footbath followed by a harmonious full-body massage with essentials oils infused into the treatment by our highly trained therapist that will integrate therapeutic techniques to restore your natural balance and well-being. Our professional massage therapist will design a massage suitable for your specific pressure and needs. This treatment is 45 minutes of focused massage techniques on the face, head, and neck to relieve muscle tension and encourage lymphatic drainage to help clear sinus congestion. Focus on your feet with steamy hot towels followed by a micro-buff exfoliant bringing circulation and ridding some of those superficial dead tissues, then experience a nourishing and moisturizing foot invigorating massage using therapeutic techniques to encourage those aches and pains to melt away. Warm your muscles and melt away with our basalt stones. These heated stones are placed on the body to sooth away tension. This deeper relaxation treatment also warms aching muscles and joint. Improve circulation and invigorate your skin with a our dry brush or a micro-scrub treatments. These treatments include hot towels for that deeper circulation followed by a dry brush followed by a nourishing and invigorating back massage. Improve circulation, renew your skin and nourish your entire back. This unique creme-based exfoliation treatment contains spherical Biodegradable Buffing Beads, natural Luffa and Apricot Powder to gently refine and smooth skin. An infusion of Wheat, Apricot and Alpha-Hydroxy Lactic Acids accelerates cell renewal to unveil petal soft skin. Then followed by a nourishing and relaxing back massage. Enhance your massage treatment by including essential oils and botanical extracts that are blended to increase the benefits of your massage and selected according to your unique needs. Enhance your massage treatment with Cupping Therapy. Glass cups are placed on specific areas of your body, causing a mild suction which brings healing, oxygen-rich circulation to the area and relieves sore, stiff muscles and pain. Enhance your massage treatment to include basalt stones to areas of your body to promote circulation, relaxation and invigoration. Cool or hot stones may be used by your therapist to allow a deeper massage without putting too much pressure or stress with heated, or by using cool stones to act as a decongestant. Are you ready for a reset? Inner Balance has partnered with Indy’s local cold-pressed juice company Simplicity to include these wonderful cleansing options to our wellness services. Go here for more info. Offering Corporate Massage to your employee boosts morale as well as productivity. You provide a space for us to work, and we provide the stress reduction. What to Expect: As a client, you will be fully dressed for your session, our therapists will check in with you to discover your focus areas, and each client will receive a massage that is unique to them. Corporate massage can include a chair or a massage table which may also be adjusted to suit the needs of each client. All of our Inner Balance massage therapists are professional, talented, and positive. Each therapist is also certified with the appropriate license and insurance in Indiana. Want to treat yourself with loved ones or friends? Bringing together family and friends to explore alternative therapies and promote wellness is always a great way to bring inner balance. Contact us if you are interested in planning an event to include massage + bodywork or spa treatments. We have experience in creating spa party packages for special occasions, teaching classes on stress reduction techniques, bringing our services to your home or place of work, teaching loved ones some basic self-care to use at home. We can help whip up a menu for a bridal shower or offer wellness treatments to an entire sports team. Experience the power of massage and take a massage course with Inner Balance. This course will be an introduction to massage and bodywork techniques. Each class will have a focus area of the body. Regular classes are approximately 90 to 120 minutes, $150 per hour ($225 for 90 minutes) per couple with all materials included. Feel free to sign up with a spouse, partner, family member, friend or loved one to work on and exchange techniques the entire class. Contact us to inquire about a private session to learn techniques with only specific group of people. In each class, you will focus on one area of the body to provide enough time to discover the soft tissues or muscles groups in the focus area, learn massage techniques, and time to practice the massage techniques to the focused area of the body. You will leave this class with a basic massage routine. Focus areas may be limited to back, forearms and hands, feet, face and head, shoulders and necks. Please specify what focused area you would like to study. Contact Us for more details and to register for the next class.